We are a top notch one stop shop for all of your Pet Care Needs! 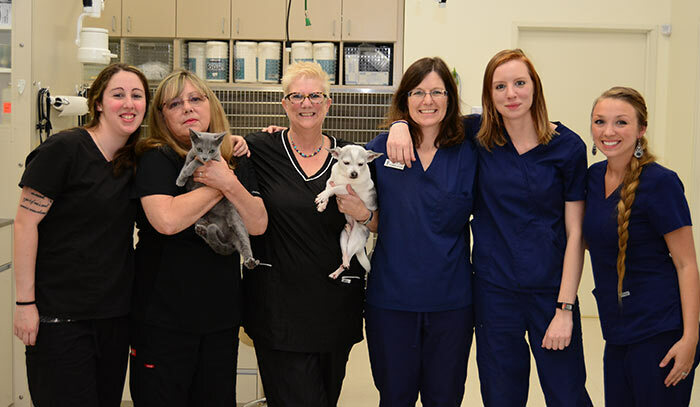 The staff at Perky Paws Pet Hospital consists of our primary veterinarian, part-time veterinarian, our talented patient care coordinators, veterinary assistants, veterinary technicians, office manager, and pet stylist. The warm, friendly environment and staff at our hospital promotes consistency of care and a unique one-on-one relationship with each client, allowing us to spend quality time with our client and his or her pets. We offer state-of-the-art medical technologies in order to provide exceptional medical and wellness care for your pet. We invite you and your pet to become part of our family here at Perky Paws Pet Hospital! Perky Paws Pet Hospital is a Certified AAFP (American Association of Feline Practioners) Cat Friendly Practice! We will offer nothing short of exceptional care meeting the AAFP standards for your feline friends. Call us now at 214-592-9939 to schedule an appointment for your feline companions! Dr. Stephane Farmer is a 1995 graduate of Texas A&M College of Veterinary Medicine. Knowing that she wanted to be a veterinarian from an early age. Dr. Farmer enjoys the challenge of diagnosing and treating diseases, as well as performing surgery and maintaining animal health utilizing preventative medicine. 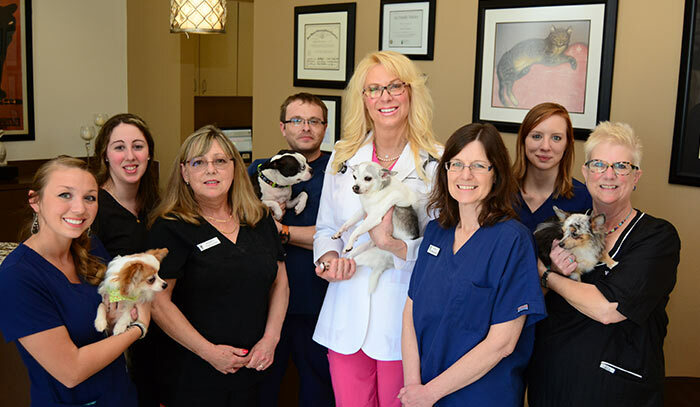 After numerous years of performing emergency medicine, Dr. Farmer decided to open Perky Paws Pet Hospital with the goal of bringing her confident, compassionate bedside manner to both patients and clients. Her commitment to animal care is enforced with memberships of the Texas, American, Collin County, and Dallas Veterinary Medical Associations, as well as the American Association of Feline Practioners. Outside of protecting and treating patients, Dr. Farmer enjoys road cycling, travel, cooking and playing with her cats Beano, Chowda, Gus, Hans, and Frans.